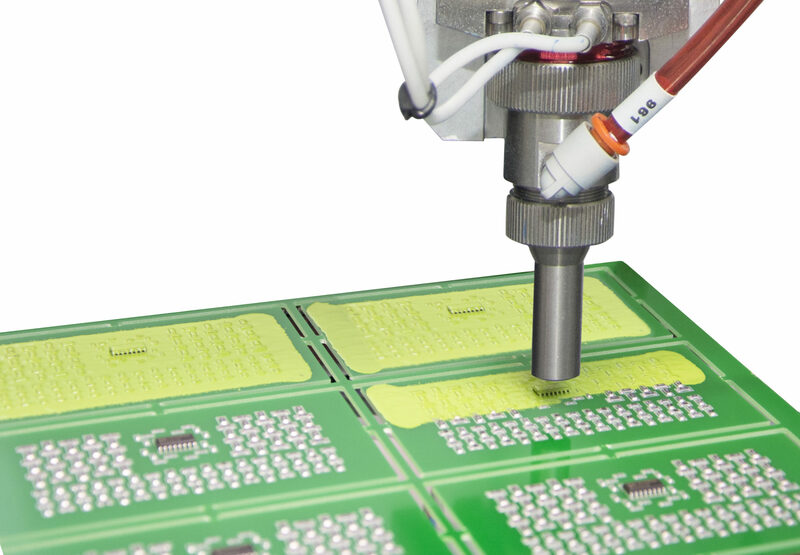 Electrolube, the global manufacturer of specialist electro-chemicals, has announced the launch of seven new generation UV cure conformal coating products at this year’s IPC APEX EXPO, which takes place from January 26th to the 31st, at the San Diego Convention Center in California. The exciting new UVCL range of UV Cure Conformal coatings is expected to take the US market by storm. Senior management from the company’s US operation in Texas, HK Wentworth America, Inc, and Electrolube’s senior technical team, will be available to discuss the advanced new UV cure coating range, as well as encapsulation resin and thermal management solutions, with visitors on booth 2201. Electrolube’s brand new UV cure coatings are designed to offer the highest level of protection for electronic circuitry with an exceptionally fast processing time. The range features UVCL, a single component, medium-low viscosity dual cure coating with secondary moisture cure, for complete cure in shadow areas. Available in 5L packaging, UVCL is VOC-free, non-flammable and demonstrates excellent electrical properties. The coating provides a wide operating temperature range and is ready to use for selective spray application. UVCL-P is the Plus version of UVCL. It is a transparent, flexible coating which is extremely resistant to thermal shock. The main benefits of UVCL-P are the improved coverage and protection achieved, along with a guaranteed chemical cure in 6 hours thanks to its unique secondary cure mechanism. Selectively applied at 50-150 microns thickness, the plus version will always afford a higher level of condensation protection than UVCL when sprayed at the same thickness. UVCL-P has a higher maximum operating temperature of 150°C and meets the requirements of UL94V-0 at thicknesses below 150 microns and can be cured with either 365nm LED lamps or ‘D’ bulb microwave technology. Electrolube have also developed an ‘xtra’ version of UVCL, called UVCL-X, which shares the benefits of UVCL-P with excellent resistance to thermal shock, immediate board handling with a guaranteed chemical cure in 6 hours thanks to the unique secondary chemical cure mechanism and exceptional coverage and protection. Reflecting its environmental credentials as well as increasing the ease of inspection, UVCL-X is a green-opaque coating that can be applied at up to 300 microns and has a higher maximum operating temperature of 150°C. It is a highly flexible coating that demonstrates excellent thermal conductivity 0.7 Wm-1K-1 for significantly improved heat dissipation. The coating is also UL746 qualified and meets the requirements of UL94V-0 at thicknesses below 300 microns. Further UV Cure coating products, also featuring secondary moisture cure, will be launched at the show and include a brand new film coating product, UVCL-FC, which enables the application of even thinner coatings and faster curing line speeds. UVCL-FC is a low viscosity, fast-curing UV formulation for rapid processing. The company will also showcase a new UV cure coating specifically for LED applications. The UVCL-LED coating is also a low viscosity coating that enables rapid cure with low energy 365nm LED lamps. UVCL-HV is a high viscosity UV curable material, designed to provide better coverage of component leads and exposed metal surfaces during dispensing applications and Electrolube’s UVCL-Gel is a no-flow gel version of UVCL, designed for sealing connectors and other areas that must not be coated. This entry was posted in Europe, Global, North America, On Ticker, Thermal Management, Thermal Management, Thermal Management, top articles, UK. Bookmark the permalink.